Folan Cottage is a welcoming detached cottage situated in an isolated position, 2.5 miles from the village of Carna in County Galway. This cottage sleeps eight people in four bedrooms, consisting of a ground floor double with en-suite shower, two doubles (one with en-suite shower) and one bunk room, together with a bathroom with Jacuzzi bath. The cottage also has a kitchen with dining area and a sitting room with gas fire. Outside there's a lawned garden with patio and furniture and ample off road parking. Folan Cottage is a delightful family base. 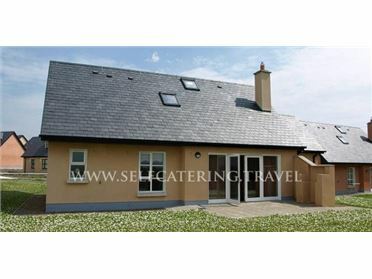 The small, quiet village of Carna is set on the shores of Galway Bay, overlooking Galway Harbour, in the scenic region of Connemara. Carna is noted for its traditional Irish music and singing, and music sessions are held weekly in the local pubs and hotel..